Bio: The brother of Alex Martin and the son of Spring Creek track owners John and Greta Martin, Jeremy''s been surrounded by racing his whole life. Martin amassed numerous titles and awards during his amateur career, including championship-winning results and accolades at the prestigious Mini O’s, Ponca City and Loretta Lynn’s. 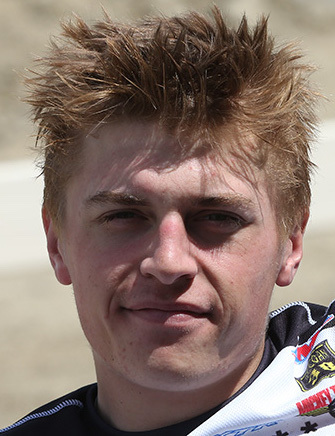 In 2012, he signed with Star Valli Yamaha and made the jump to the pros. Returning from a shoulder injury that sidelined him for Loretta''s that year, Martin made his pro debut at Unadilla and would contest the season''s final three races. His best result came in the 2nd moto at Steel City, when he grabbed the holeshot and took home an 8th-place finsh. In his first full season as a pro, Martin hit his stride during the middle stages of the 2013 Lucas Oil Pro Motocross Championship, placing on the podium at RedBud and nearly winning a moto at Spring Creek. Martin officially ascended to the the upper tier of the 250 Class in 2014, winning the first five motos of the Lucas Oil Pro Motocross Championship season in dominating fashion. He capped off the season with the 250MX championship - the first of his career.